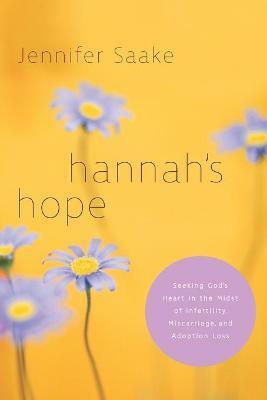 Hannah's Hope is intended as a guide to assist you in making wise decisions as you struggle through your grief of not yet conceiving, losing a child, or struggling through the adoption process. Hannah's heart beat with a mother's love long before she was blessed with a child. Through the years of waiting and longing, her gentle heart was nearly crushed under the weight of grief. You can meet Hannah in the pages of 1 Samuel, chapters 1 and 2. The Bible says she was "barren," and we know she suffered heartache, anguish, and grief because of her empty arms. Perhaps you do too. Hannah's Hope is for all who long for a child yet to be conceived, grieve for a baby too soon passed from the womb, or have lived through the no-man's-land of failed adoption. It is intended as a guide to assist you in making wise decisions as you struggle through your grief. And by the end of the journey, God may surprise you by the ways He uses to answer your heart's cry. Compassionately written by a woman who knows well these painful struggles, Hannah's Hope will direct you to the Source of strength, whose name is "the God of all comfort." Jennifer Saake and her husband, Rick, are the founders of Hannah's Prayer Ministries (www.hannah.org), a nonprofit organization whose mission is to help women who are infertile or have suffered miscarriage or adoption loss. Since their infertility battle began in 1992, the Saakes have lost ten children via miscarriages and failed adoption attempts and have been blessed with two living miracles.